North Conway, NH – Spectators are invited to attend the Hannes Schneider Meister Cup at Mount Cranmore on Saturday, beginning with the Opening Ceremony at 9:15 a.m. The benefit event for the New England Ski Museum honors Hannes Schneider, the mountain resort industry pioneer who operated the ski school at Cranmore from 1939 to 1955. Cranmore’s founding predates the Second World War, and several themes that date to that era will be featured at Saturday’s event. 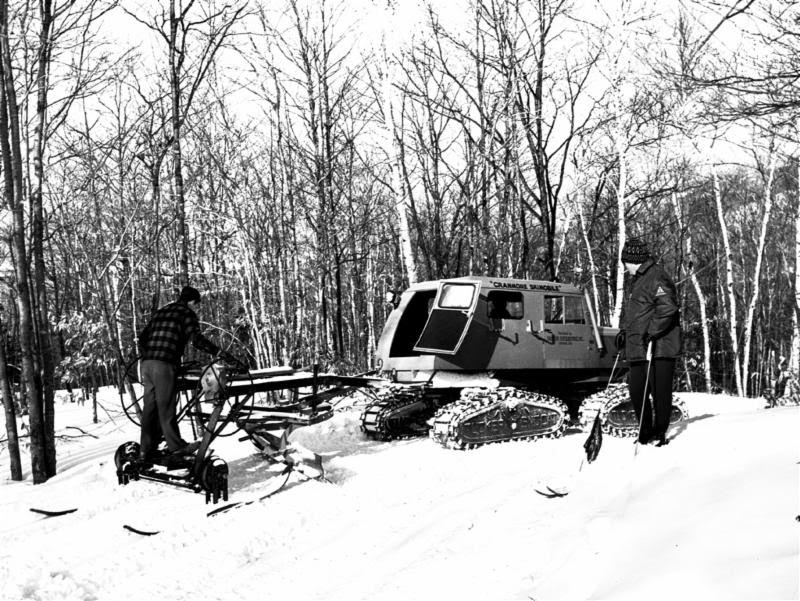 Mount Cranmore was the first ski area in the country to introduce grooming of its ski slopes, which they did by 1940. 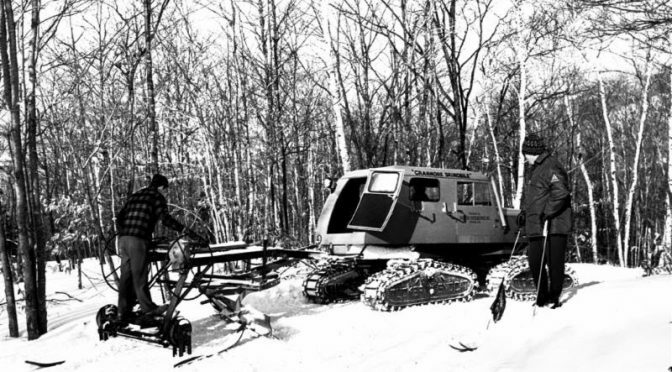 In remembrance of this early innovation that is universal at ski resorts today, Cranmore will display its new state-of-the-art diesel-electric Pisten Bully side by side with a privately-owned 1968 Tucker Sno-cat, which was the leading-edge snow tractor of its own day. The Hannes Schneider Race features a strong military presence that evokes the World War II 10th Mountain Division, which several of Schneider’s Austrian ski instructors including his son Herbert joined, as did a number of other Cranmore instructors. 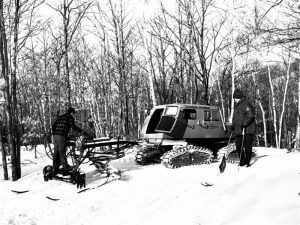 The 10th Mountain veterans’ and descendants’ association holds their winter meeting in conjunction with the Schneider race, and several veterans of the original 10th will be on hand. At least three active-duty military teams from the present 10th Mountain Division of Fort Drum, N.Y. and the Army Mountain Warfare School in Jericho, Vt. will be racing. The race course is on the Alley at Mount Cranmore, so the dual giant slalom competition will be in full view of the main base lodge and its vicinity. The culmination of the race will take place sometime around 1 p.m., when the top six teams of the first run will face off against each other for the top honors. Features of the event that are open to all without charge include the vintage ski fashion contest at 1:30 p.m., where all who are wearing their classic attire are invited to show it off on the snow stage. The ski museum will show some select pieces from their collection, though those are ineligible to win. A silent auction with items calculated to appeal to skiers and riders runs from 10:30 a.m. to 2:30 p.m. in the Eating House. At about 2:45 p.m., winners of the team, age class and individual honors are presented at the Awards Ceremony, with the great-grandsons of Hannes Schneider as the presenters. Throughout the day the Bavarian Brothers Band will play their distinctive Alpine music at various sites around the mountain.